The beer for those who love it here. We focus on quality over quantity. We source the finest quality ingredients, and keep it local when possible. 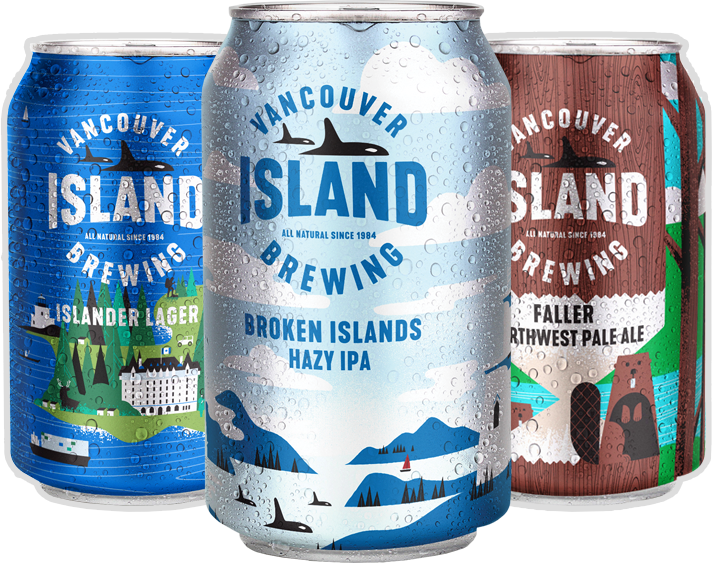 In fact, our Islander Lager showcases hops grown in the Cowichan Valley. We are proud to be driving innovation in an industry that we helped pioneer in British Columbia. We brew a selection of beers that can accompany you on all your adventures. We’re committed to producing fun, authentic, shareable brews. We never compromise on quality, and that is reflected in all the beers that we make. Through our unique craft brewing experience & company culture, we play just as hard as we work. We live for adventure – so join us by indulging in that Vancouver Island lifestyle & share your experience with us!